Please be advised that we exhibited our submerged membrane unit for MBR 「 M-fine 」 at Pollutec 2014 of SEIKA SANGYO GmbH booth (Hall: 5, Aisle: E, Stand:269) scheduled to take place in Lyon Eurexpo France from December 2 to December 5, 2014. 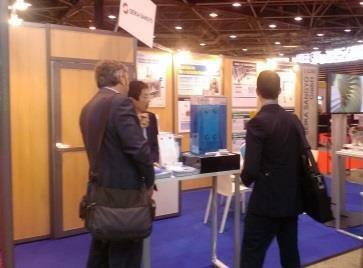 Pollutec 2014 is one of the biggest international exhibition of environmental and energy in Europe. Thank you very much for coming to the exhibition.